Two people are out of the hospital a day after Thursday morning's wrong-way crash on Rock Creek Parkway. Two others remain hospitalized, with one in critical condition. 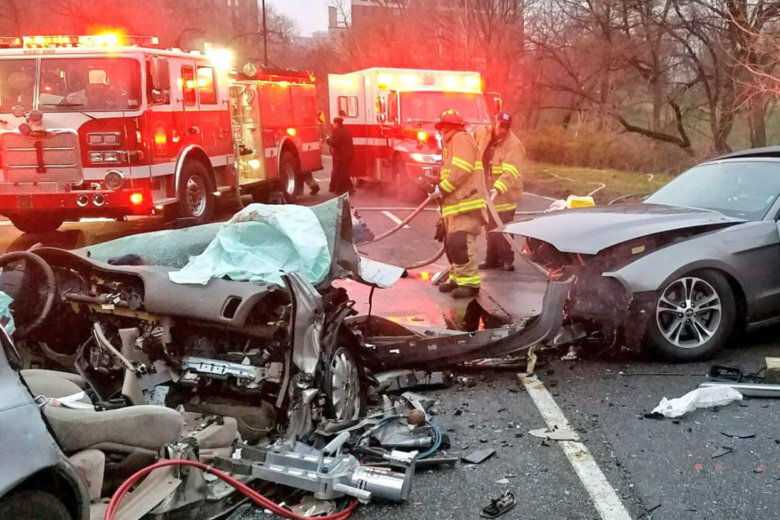 WASHINGTON — Two people are out of the hospital a day after Thursday morning’s wrong-way crash on Rock Creek Parkway. The driver of the Ford Mustang and one of the men from the front seat of the Honda Accord have been released and will speak with U.S. Park Police, who are heading the investigation. The other front seat passenger from the Honda remains hospitalized, but there is no word if his injuries are still serious. The woman from the back seat of the Honda is still in the ICU in critical condition. Park Police said that the driver of a Ford Mustang was going the wrong way — southbound in northbound lanes — on the parkway in a section of the road where the lanes alternate depending on the time and day. The Mustang struck a Honda Accord that was carrying three passengers around 6:30 a.m. at the P Street exit. Two passengers in the front seat, both men, were taken to the hospital with serious injuries. A woman in the back seat was taken to the ICU with life-threatening injuries. At the time of the crash, lane changes were not in effect. It is unclear if the driver of the Mustang knew this. The crash closed a section of Rock Creek Parkway for hours and snarled morning traffic. WTOP’s Mike Murillo contributed to this report.